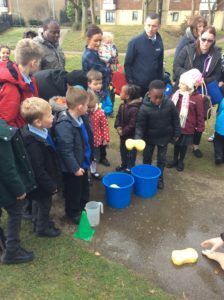 Reception have had a very busy and enjoyable half term. We experienced a few mysteries that needed to be solved. 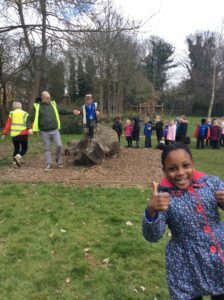 A broken chair, a hair bow and a bowl of porridge appeared in our classroom…….all the signs led to Goldilocks, but in fact it was visitor we had had in Mrs Roff! The following week all our toy boxes went missing and after lots of discussion, report writing and wanted posters going up we discovered it was Burglar Bill taking toys for the baby. He did return them and was very sorry. 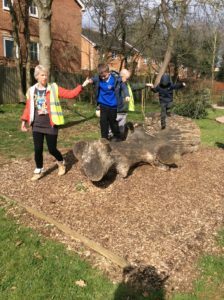 We have been on a Spring Walk in the local area, made pizzas, had a visitor from Gallone’s Ice Cream and made our own ice creams. We wouldn’t recommend you try them – onion ice cream and mushy pea flavours! The highlight of the term for many children (and some adults!) 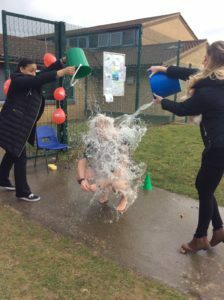 was getting to throw wet sponges and tip buckets of water over Mr Reed all in the good name of Sports Relief! 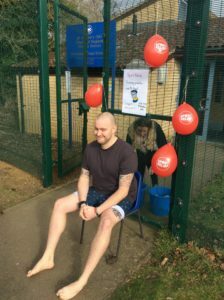 The whole school raised well over £1500 with the two Foundation classes contributing over £400 of this – thank you so much! 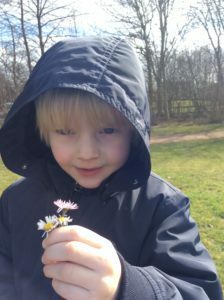 We can’t wait for next term already!